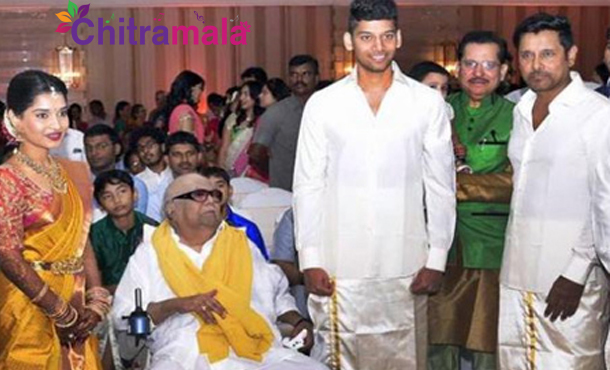 Just a few days ago, Tamil star hero Vikram’s daughter Akshitha and former Tamil Nadu CM Karunanidhi’s great grandson Ranjith got engaged after having been in a relationship for some time. As per latest reports, Akshitha has now lost her engagement ring worth Rs 12 lakh. Rakshitha has lodged a police complaint alleging that she found her ring missing after returning from an ice cream parlor in Chennai on Tuesday. Even though the police have scrutinized the CCTV footage of the parlor, they found nothing. Akshitha and Ranjith will enter into wedlock in 2017.